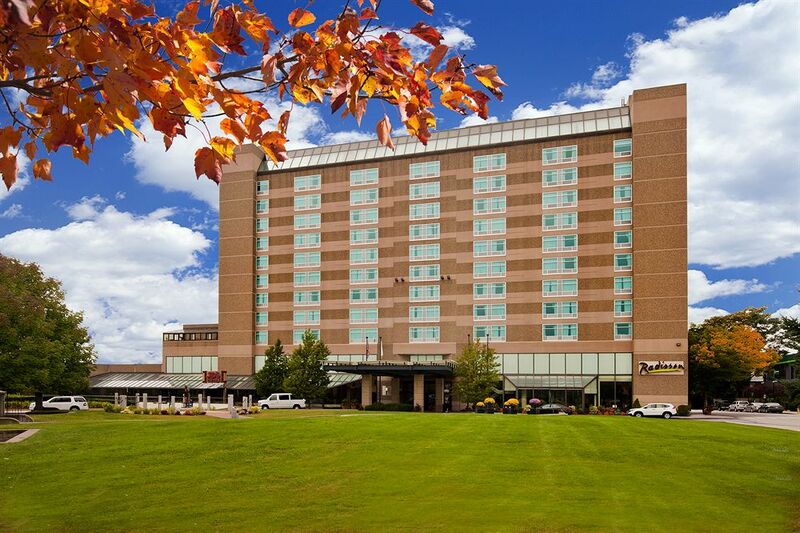 Since this is our first session in a new location, we wanted to let members know what to expect when they first arrive at the Radisson Hotel Downtown in Manchester, NH. (Click photos for larger versions). While there are some events on Wednesday, June 17, – including Clergy Session and the Preachers’ Aid Society Luncheon – the session begins on Thursday, June 18. Whether you are a guest at the Radisson or arriving from home or another hotel, parking is in the covered lot to the left as you face the hotel. As you drive past the entrance to the lobby, you will see the entrance to the parking lot. You can enter the Radisson directly from the parking lot. Guests staying at the Radisson will not be charged for parking. The Conference will validate parking for commuters. To get your ticket validated bring your ticket to the conference registration table. We do encourage people to carpool and to remain parked once they arrive, as we are charged for each entry and exit from the lot. All conference events will take place in the Radisson, except off-site meals and the Mosquito Stomp (see map). The Armory room is the main space in the hotel where we will gather for plenary sessions and worship; it is named for the nearby Manchester Armory. The blessing of the space will be at 9 a.m. on Thursday. Will be at 6 a.m. on Thursday and Friday in the Hale Room (see floor plan). If you registered for a Quest Blueprint for Wellness screening (some walk-in spots are available) screenings take place from 6-9 a.m. Thursday and Friday in the Spaulding Room (see floor plan). Those seeking walk-in appointments must have their HealthFlex cards with them. NOTE: You must fast for at least nine hours prior to the screening. Registration also begins at 9 a.m. and continues until 7 p.m. in the open area (labeled Assembly on the Radisson floor plan. 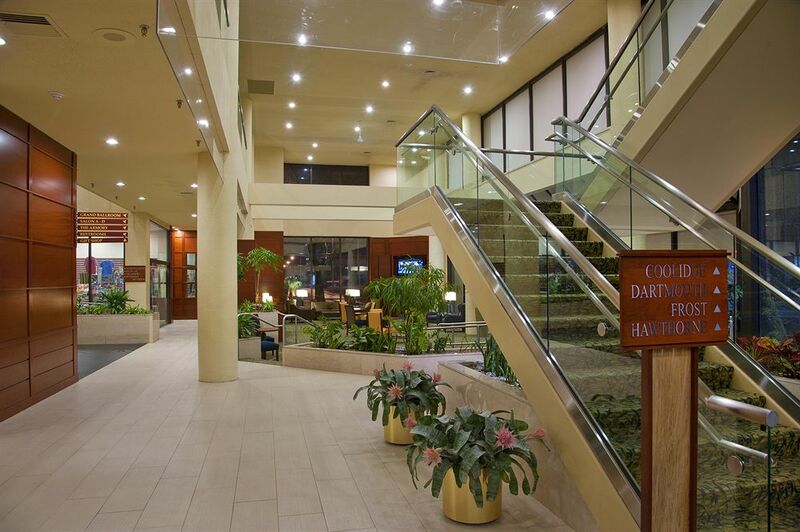 It is in front of the Armory room; the entrance to that area is to the right as you pass the hotel’s front desk (where you will check in if you are a Radisson guest). Check-in time is 3 p.m. The display area and Cokesbury Bookstore are adjacent to the registration area as well. When you register you will be given a packet that includes: Your name tag, voting card and meal tickets. Evaluation forms are available at registration as well; please be sure to take one to fill out or better yet, fill it out online. 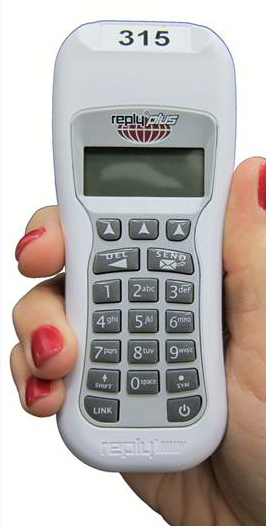 We will be using electronic voting devices for all voting – including to cast ballots for delegates (more below). The voting cards will be used to get the Bishop’s attention to be recognized on the floor. The instructions for accessing the Radisson WiFi are printed on the back of the voting cards. You will need your name tag in order to pick up a voting device. Name tags are coded as Lay Vote, Clergy Vote with Ballot, and Clergy Vote without Ballot and you will be given the appropriate device based on your voting status. You cannot pick up a voting machine without a coded name tag. You are responsible for returning your device at the end of the session Saturday. There is a $50 fee for devices that are not returned. If there is a balance due on your registration fee, it will have to be paid in full order to receive a registration packet. You will be able to pay onsite with a check or a credit card (there is also an ATM in the hotel) in order to get your packet. The registration fee is $125 and can be paid onsite with a check or credit card (there is also an ATM in the hotel) in order to get your packet. You will need to see a conference secretary to get a sticker for your name tag in order to pick up a voting device. There will be four offerings received during the session. Checks for all offerings should be made out to the New England Annual Conference. The offering at the opening worship service, the Act of Repentance toward healing relationships with native peoples, will go to the Conference Committee on Native American Ministries (CONAM). Opening worship begins at 1:30 p.m. on Thursday, June 18. The Episcopal Night offering, received Thursday evening, will go toward the Mission of Peace, to support young people from New England who will take a MOP journey through the Northeastern Jurisdiction. During the Service of Ordination and Commissioning, the offering received will go to the Ministerial Education Fund. The Ordination Service will be at 7 p.m. Friday, June 19. The offering received during the worship service at 8:30 a.m. on Saturday, June 20, will support Imagine No Malaria. Child care will be upstairs from the main lobby in the Hawthorne, Robert Frost and Dartmouth rooms. Childcare registration is closed. We will not accept children who have not previously been registered. Wednesday, June 17 – (clergy session and ordination rehearsal) - 1-5:30 p.m.
Thursday, June 18 – 9-11:45 a.m.; 1:15-5:15 p.m. and 6:45-10 p.m.
Friday, June 19 – 8 a.m.-12:15 p.m.; 1:45-5:15 p.m.; and 6:45-10 p.m.
Saturday, June 20 – 8 a.m.-12:15 p.m.; 1:15-4 p.m.
Childcare will close for an hour and a half on Thursday and Friday during each meal break. On Saturday childcare will close for only an hour during the meal break. The Curriers room (see floor plan) will be available to members throughout the session as a place to eat your grab-and-go meal, to reflect in prayer or meet up and talk with friends and colleagues. There will be a water station and a charging station for electronic devices in that space as well. WiFi will be available during the plenary sessions. Instructions for accessing the Radisson WiFi are printed on the back of the voting card in your registration packet. NOTE: This is a different network from the one you will use in your hotel room if you are a Radisson guest, so you will have to log in once you are in the Armory room. 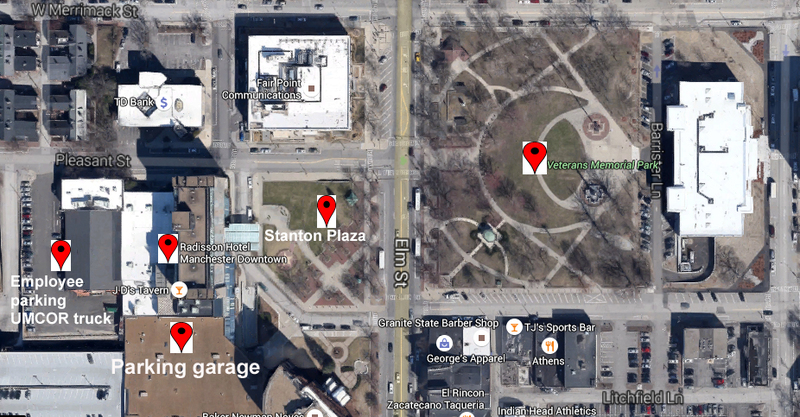 Stanton Plaza is the green space directly across from the Radisson entrance. That’s where the sack lunches will be distributed. Veterans Memorial Park, across Elm Street from Stanton Plaza, is the location for the Mosquito Stomp, a 1-mile walk to raise money for Imagine No Malaria. Manchester Mayor Ted Gastas will join us at 5 p.m. and the walk begins at 5:30 p.m. You can sign up onsite, so bring your walking shoes and $20 to help us fight malaria. Shoe donations should be brought to the Mosquito Stomp. Donations and pledges to Imagine No Malaria will be collected throughout Annual Conference at the INM table near the registration table. Shoe donations should be brought to the Mosquito Stomp (see above). John Blackadar will have a trailer in the Radisson Hotel employee parking lot (See map) to collect the kits. Cell phones and other donations will be collected in the registration area.